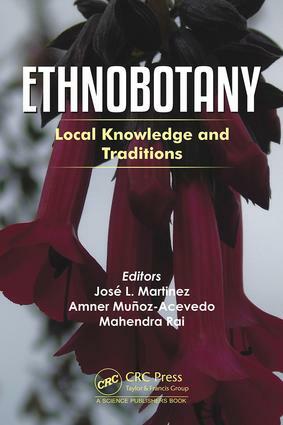 Ethnobotany: Local Knowledge and Traditions discusses various plants that have actually been used in traditional medicine for a specific ailment. It desribes the biological effectiveness (activities) related to each "sickness" which have been scientifically verified. This book will also discuss the bioactivities established/determined that are promising and have potential. Finally, this book will be an appropriate consultation tool for scientists/professionals/experts such as ethnobotanists, botanists, cell/molecular biologists, chemists, pharmacists, pharmacologists, environmentalists/ecologists. ByRosa Luisa Degen de Arrúa, Yenny González, Esteban A. Ferro B.